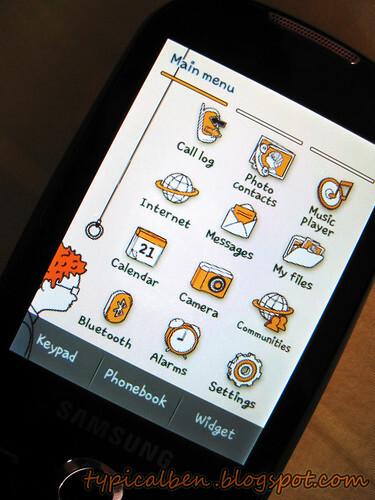 Corby your life with Samsung! 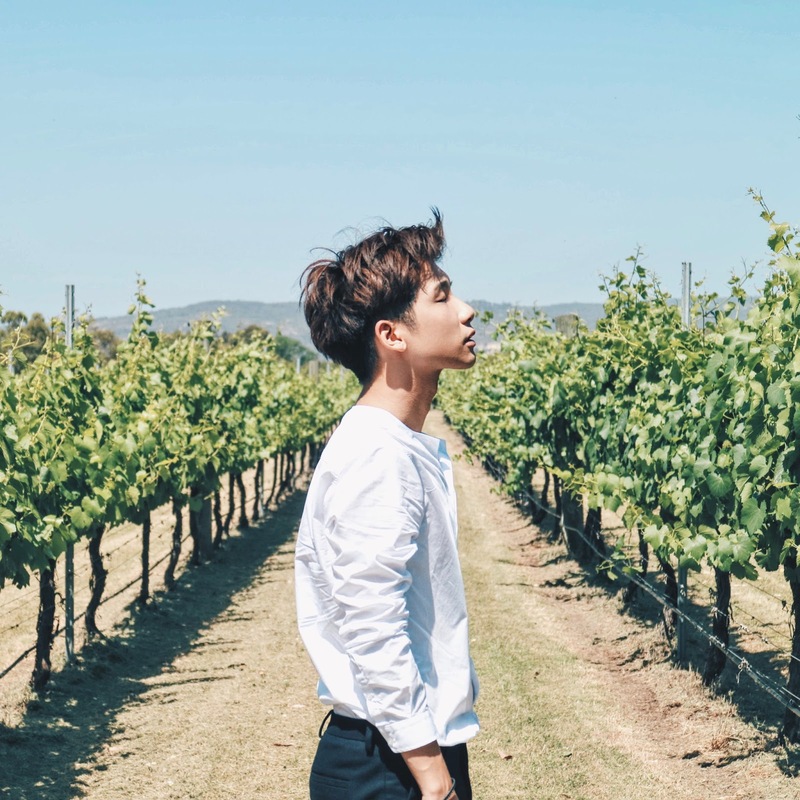 Aiya! Basically, most of them are in dark colours!!! 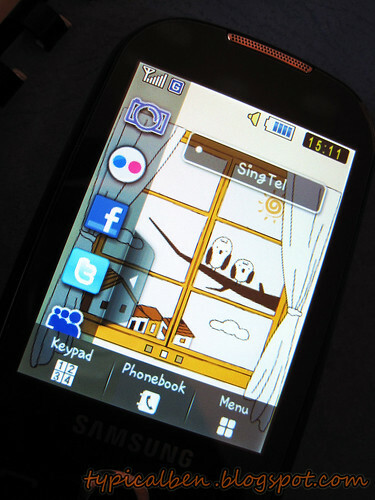 And how much I want my phone to be in brighter colour, especially orange! Thus I even fork out money and went to mask my phone to orange!! Though there's some slight improvement lately, as we can see that red and white colour is getting more and more common for phones! But that's still not good enough!! What about people who loves and wants a colourful phone?? Do we always have to go masked our phones to the colours we want?? 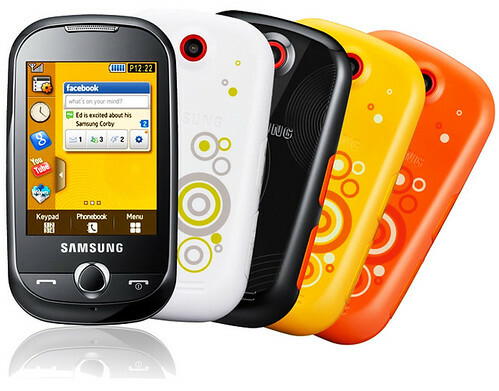 Just take a look at this new colourful phones by Samsung!!! Finally something pretty, colourful and with great functions is here!!! And Samsung being really nice, loan me their new colourful Corby phone to let me try and to test it out then to share with you guys!!!! It comes in Touch Screen!! 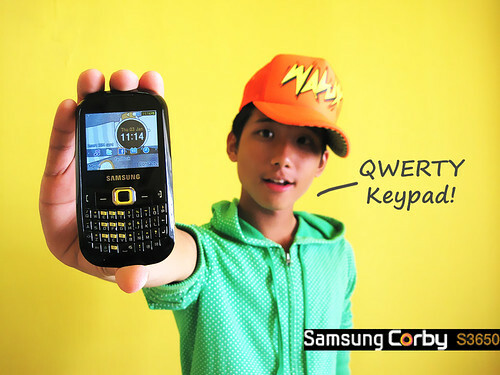 And also comes in QWERTY Keypad!! How mad awesome is that???!! Totally caters to everyone! 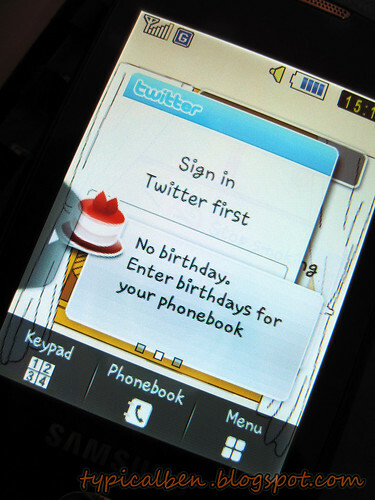 Cause some people prefer touch screen but others might not fancy it that much (like meeee! ), so now you can choose which ever you prefer more and don't have to compromise yourself to like it eventhough you don't really like touch screen or keypad phones!! Other than that, here are some great features!!! Lots of applications and widgets for you to choose from and place it at the side bar (which you can hide it) for the usage of them as your ease! Home Page with 3 different cute background to choose from! Menu Page is also really cute!! Trying it out with the picture I took! 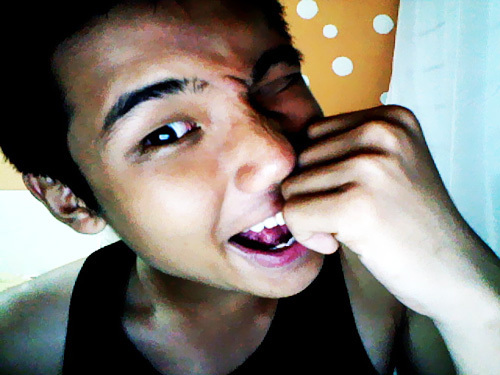 Honeystar! Another useful function that allows us to examine images up close or even when browsing web pages with just one finger!! if you wanna use it! 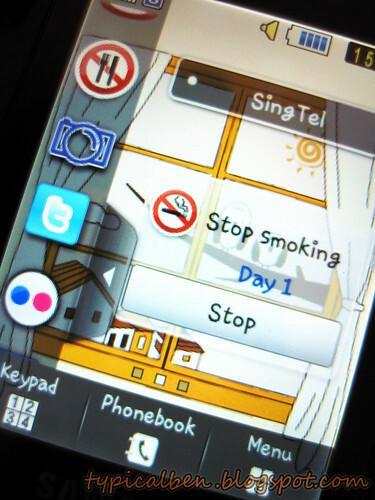 Cute widget: Number of days you stop smoking! Lots of widgets/application popping up to you with just one click! 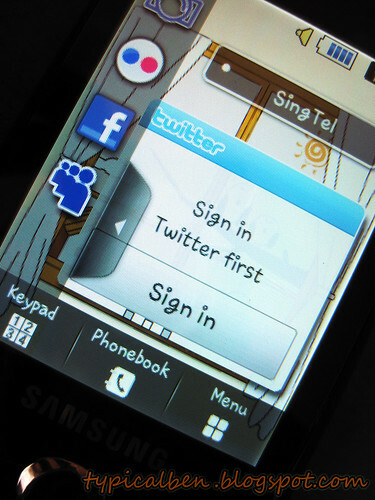 Now we can update your status via Facebook, Myspace and even Twitter through this service and got no problems seeing your friend's updates too! 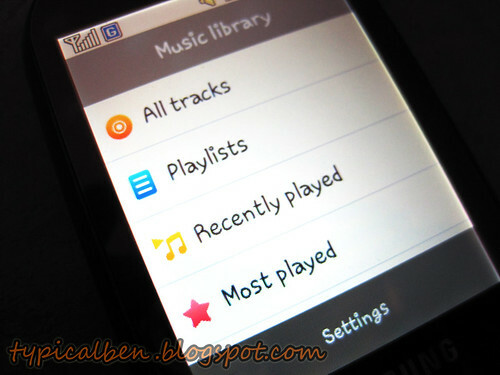 Enjoy your favourite music on the go! 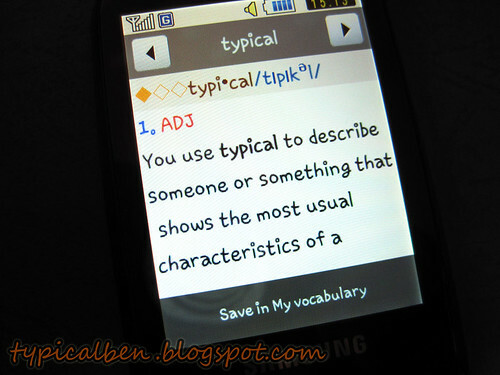 This function is what you need to impress the others with your wide range of vocabulary! Muahaha! Random though! Now, you can have your phone in whatever colour you want!! Samsung Corby comes in changeable colourful fashion jackets covers with ergonomic curve design (thus giving us a firm and easy hold)! 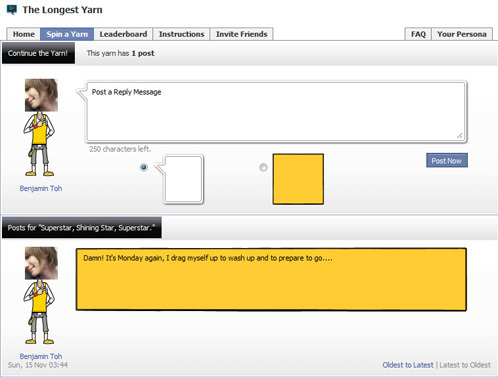 Win 10 phones from the Samsung Corby family via The Longest Yarn! 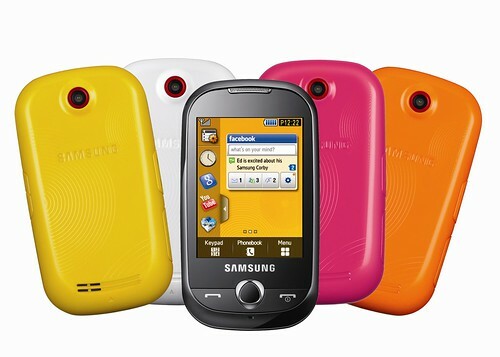 I'm sure you guys would like to own these colorful Samsung Corby right! All you need to do is just write an opening to your story and with their fun facebook application, post your words, invite your friends/family to continue!! 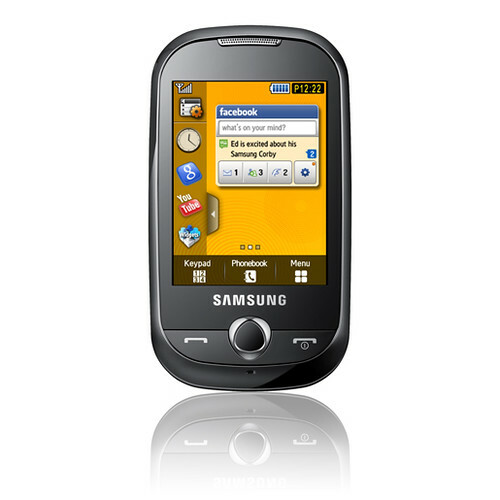 And on that could take you to the prize of 10 phones from the Samsung Corby family! Its okay if you're not sure! 1. Register with Samsung Fun Club here! 2. 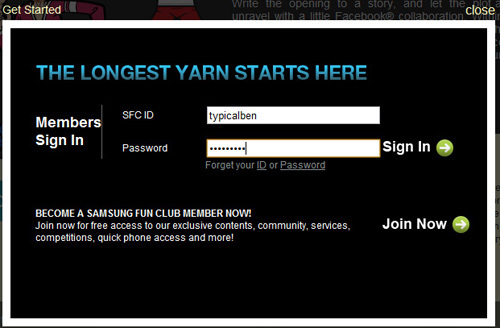 Use your Samsung Fun Club login details and log in! 3. After you've logged in, follow the link to their Facebook application. 4. Now you can start your own story thread and begin posting! Be creative! 5. And do invite your friends to add on to the story. After that you can continue where your friends left off, and so on! 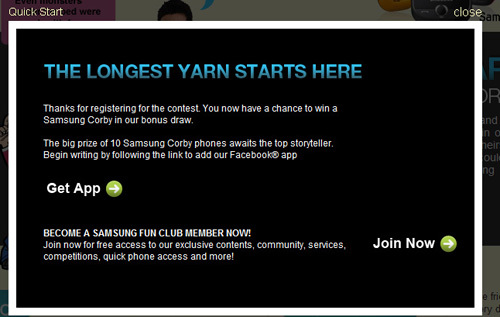 Join me in the longest yarn HERE and get a chance to win yourself, the new Samsung Corby phones! 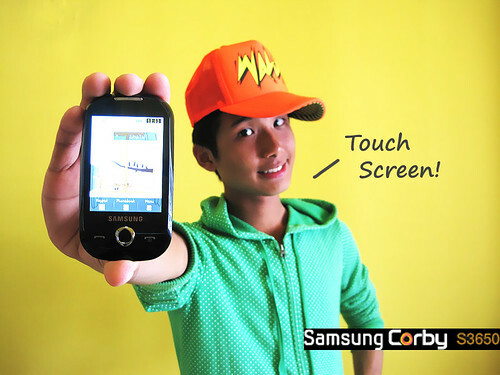 Co(lour)rby your life with Samsung Corby today!